The buzz about cryptocurrency is increasing, people have heard about it, and more and more people want to find more about it, and find a way to be a part of it. When blockchain technology came, so many things changed, for better, we say. So many businesses have improved, so many companies have started using crypto currencies in their work. The new ideas are coming every day. People want to invest in the new projects. We have the biggest tool in the world, and it is called the Internet. The internet is a enormous base of information where we can do anything. Internet has connected the entire world. 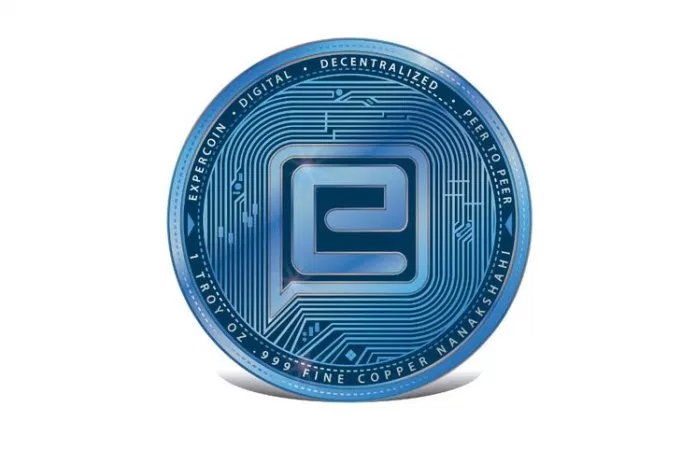 One of these projects is Expercoin, the decentralized platform serves to bridge the gap between those with the know-how and those wanting to learn. Expercoin is a product of the Harvard Innovation Lab. It defends the goal of creating a platform that will allow its users to launch their own markets and training communities that are decentralized and equipped with artificial intelligence. Markets are designated as republics. Publications are built on the interface and protocol level, which makes them flexible and autonomous. 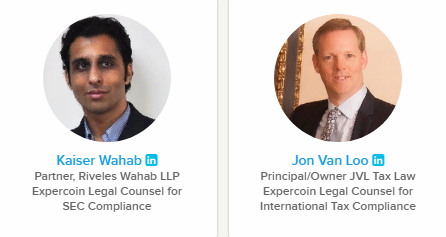 The Expercoin Ecosystem is organized into learning communities called Republics. While each Republic is highly specialized and unique, they all share a common, six-pillar core. The Learning Marketplace is one of such pillars; it lists all of the learning experiences designed for the Republic. 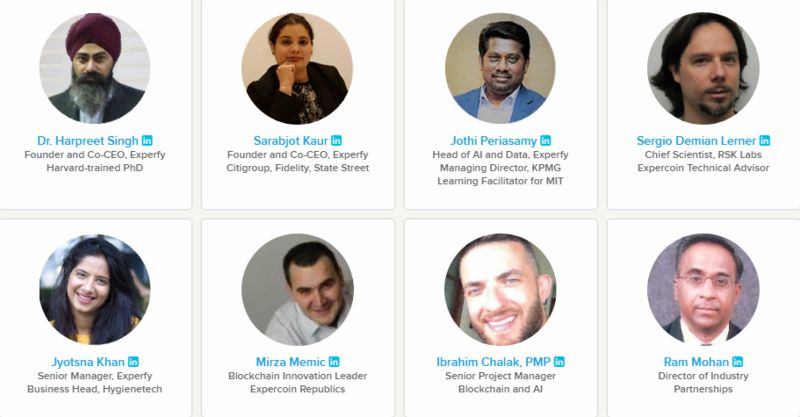 The Learning Marketplace currently exists as an essential component of Experfy’s platform and will be decentralized to accommodate the Expercoin Ecosystem. Harvard-incubated Experfy runs an AI-focused community of 30,000 data scientists to help Fortune 500s mentor and upskill their employees and also hire expert freelancers on-demand. Witnessing a growth in demand for its platform, Experfy seeks to exponentially expand the impact of its business vision. However, rather than add new specializations to its existing platform, Experfy plans on decentralizing its technology by and through Expercoin, Inc with the goal of allowing anyone to launch a new community with its own marketplace instantly. 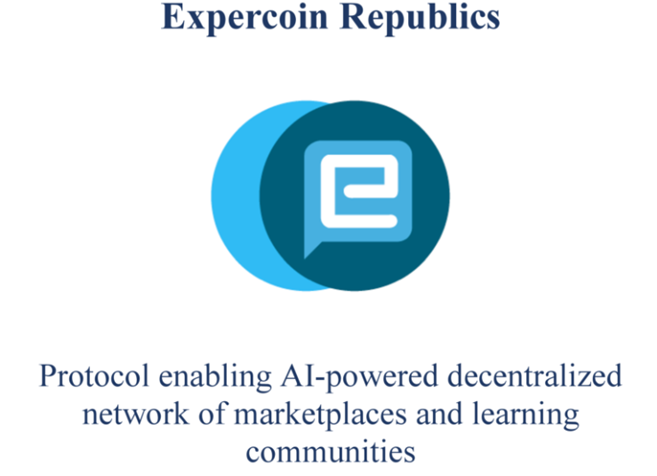 Expercoin consists of a protocol layer and front-end applications for users to build highly flexible autonomous organizations known as Republics. These new decentralized marketplaces empower communities and institutions with an out of the box solution that doesn’t require software development skills. A non-technical person or any organization can now launch a highly customized Republic and start generating revenue. Anyone can launch a Republic. For instance, there can be a “Republic of Smart Manufacturing,” “Republic of Nanotechnology,” “Republic of Blockchain in Finance,” “Republic of Architectural Design,” “Republic of French Learning,” etc. Blockchain provides the backbone for the governance of Republics, while they are operationalized using smart contracts, open protocols, APIs, front-end libraries, learning content, and subject matter experts. 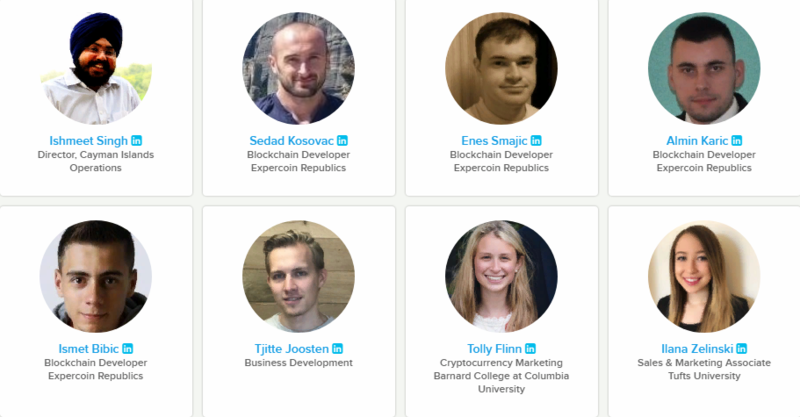 Expercoin builds upon Experfy’s vision by using blockchain technology to address cracks in the traditional education-to-employment system. Technological growth is outpacing the rate at which some institutions are adapting. Experfy addresses this problem with respect to education; its platform brings together learning experiences and work opportunities surrounding emerging technologies. Now, Expercoin seeks to scale its predecessor’s platform to alter the way we approach education and work with the goal of closing gaps in the traditional education-to-employment system. With blockchain technology, it excludes intermediaries from a transaction that prevents fraudulent transactions with individuals and transactions. Transactions will use the process of voting with a request for a deposit, in which anyone who sells on the platform will have to make tabs of Expercoin. Once the transaction is confirmed as genuine, the tokens will be returned. The platform is decentralized, which means that no one person or group of people controls the platform. Owners of tokens can vote on issues related to future projects or the launching of republics. Platform users can use tokens as incentives to facilitate participation in their republics. This token will provide users with an automatic payment mechanism that will be quick and not costly compared to other payment methods. The transaction fees will also be lower. Through the system of crediting peer-to-peer partners, people from disadvantaged families can receive education. The above price reflects a 20% discount to presale investors over the ICO price. 20% allocation for company with 12-month lock-up and 24-month vesting. 10% allocation to reserves with 12-month lockup and 36-month vesting. 5% allocation for advisors with 12-month lockup and other restrictions.